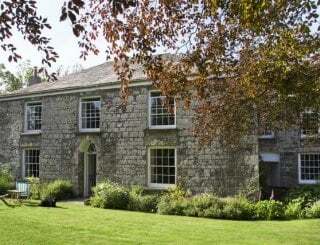 Tregoad Manor, St Martins, Looe, Cornwall, sleeps 12-18 in 7 bedrooms. 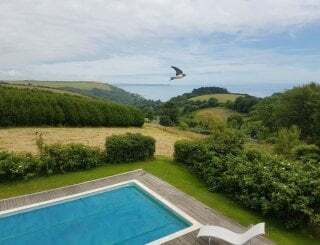 Tregoad Manor House is a large early Victorian detached property standing in an elevated position with stunning views of the Cornish countryside, Looe Island and the sea beyond. 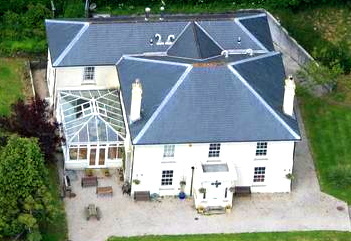 The house is situated well away from roads in 55 acres of rolling countryside. 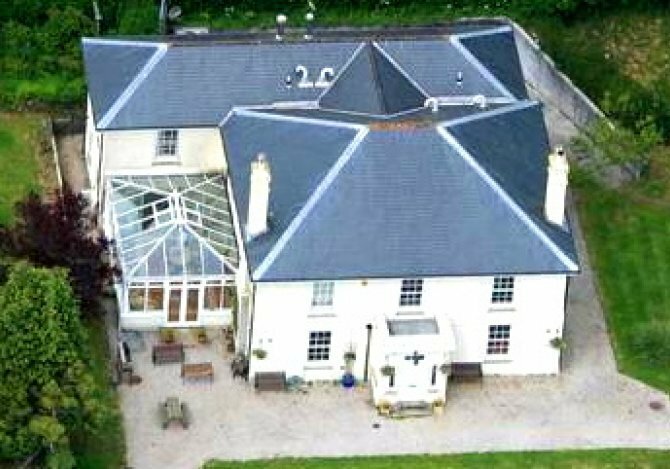 The house can accommodate up to 18 guests in 7 bedrooms, some four of which have en-suite facilities. There is also a family bathroom. 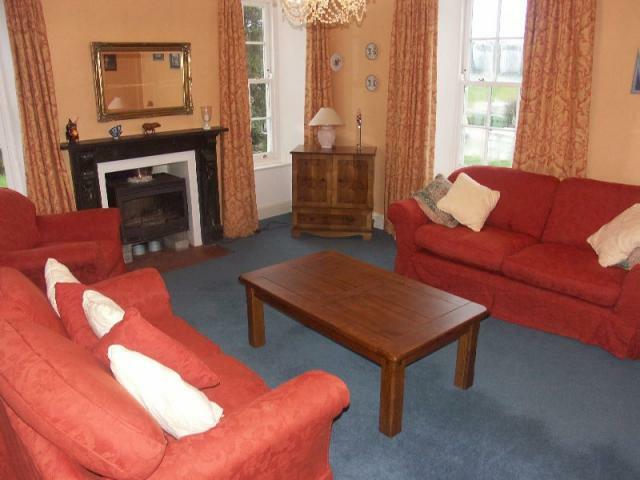 There are 2 spacious reception rooms plus a large conservatory. The dining area is capable of seating 18 at one table in comfort. 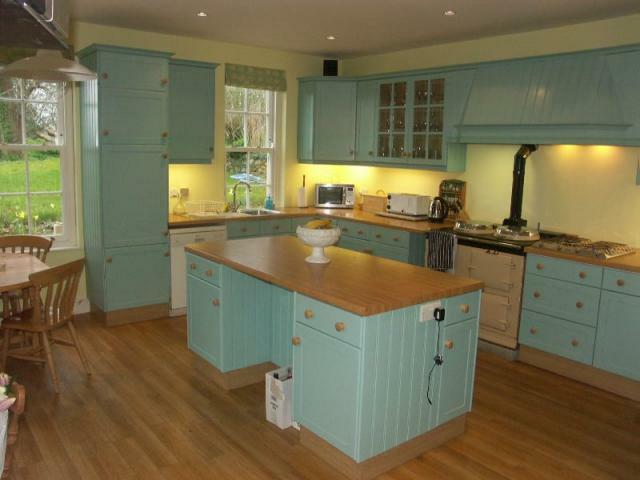 The kitchen is sizeable and fully equipped with all you would expect including a gas range cooker plus gas hob and electric fan oven. In addition there is a large American fridge/freezer with ice maker. 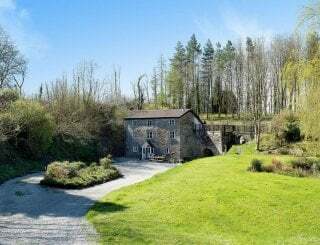 Outside, there is ample seating for 18 guests and a large charcoal barbecue is provided for those alfresco evenings, there is also a spa bath near the barbecue area which will accommodate 6 guests. 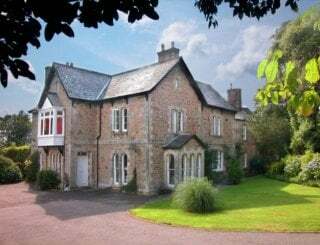 There are a plentiful supply of flat screen Freeview TVs throughout the property and internet access is available throughout the house for a small weekly charge Tregoad Manor house is ideal for large families or those groups wishing to celebrate together. The 55-acre park in which this property stands is also home to a rural camp site. 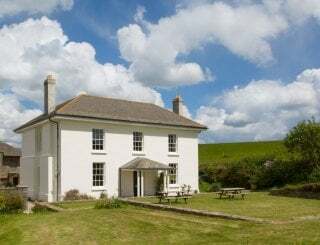 Guests of Tregoad Manor are free to use the seasonal facilities of the camp site. 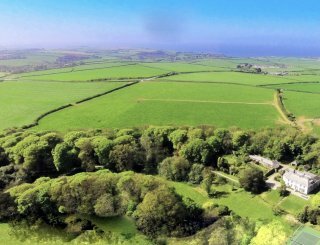 Only 17 miles from bustling Plymouth and with plenty of scenic walks this part of Cornwall has much to offer. 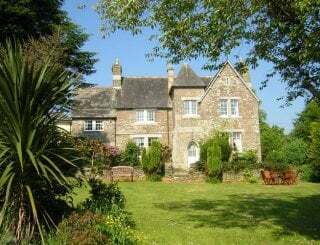 Early booking of the manor house is highly recommended as this property is is extremely popular. 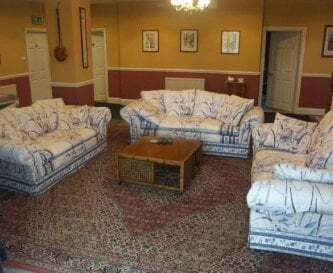 Please go to our website for more details and availability. 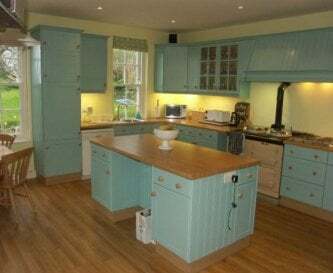 Manorhouse: Fully fitted with gas range cooker, fridge, freezer, washing machine, dishwasher, gas hob and electric oven. 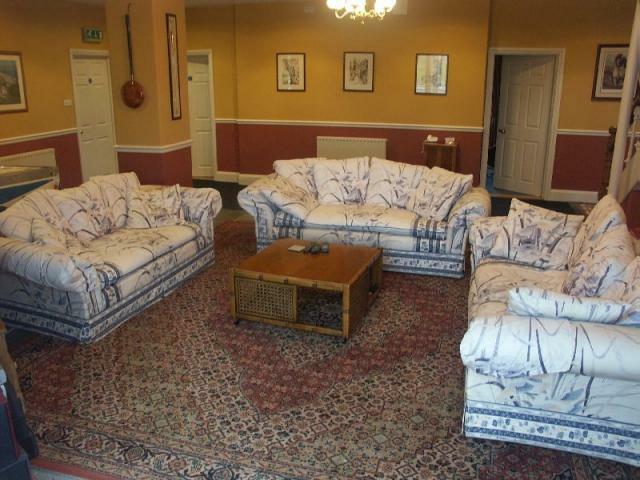 Capable of seating 18 guests in Manorhouse. 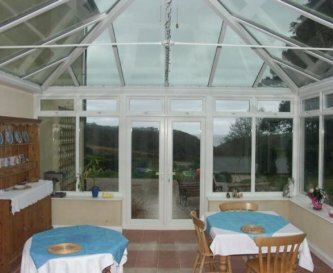 2 large reception rooms and conservatory in Manorhouse. 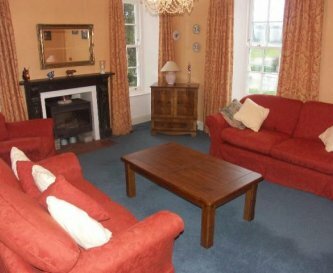 Digital Freeview in reception rooms and most bedrooms, DVD player, Wi-Fi available. Open in mid and high season. Central heating and open fire in the Manorhouse. 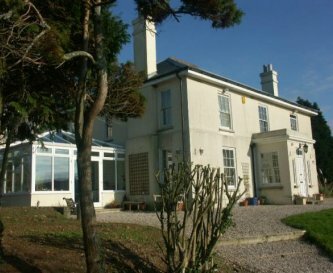 Seven bedroom, four with en suites and one on the ground floor. All linen is supplied and included with the exception of towels. 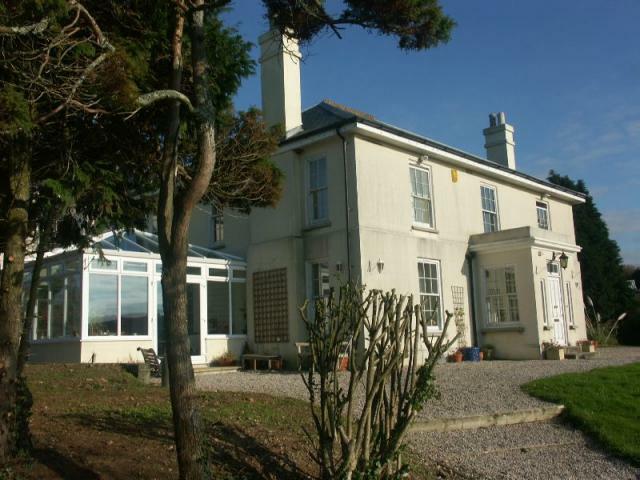 Three en suite shower rooms, one en suite bathroom and one family bathroom, downstairs cloakroom. Kids play park, table tennis and games room. Football and kite flying field, basket ball nets, Carp fishing lakes. 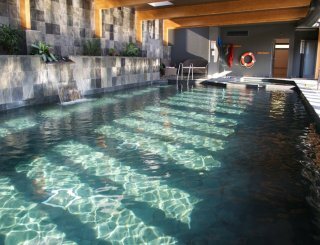 Indoor heated swimming pool and Jacuzzi Spa open all year and available to all customers. 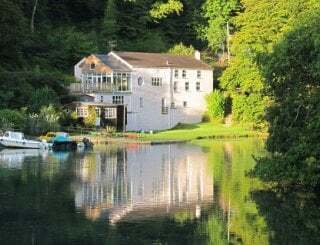 Tregoad Manorhouse is close to the scenic & popular fishing ports of Looe & Polperro on Cornwalls SE coast with some of the finest beaches around. The nearest town is Looe with Polperro a few miles further on. Morrisons at Liskeard, 4 miles or closer for small shops within 1 mile. On-site in season or 2 miles. 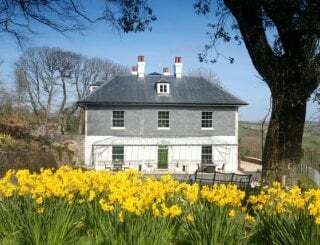 Low season short breaks available. Call for details. 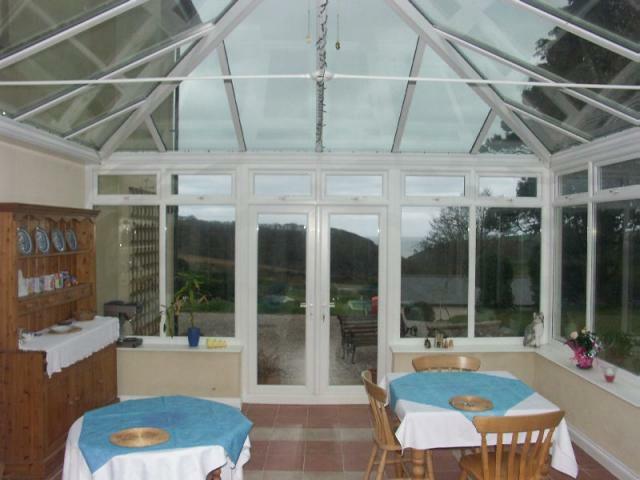 Nearest Railway Station is at Looe 1.5 miles away. There is a bus stop a short walk away at the bottom of the drive. At Plymouth 17 miles away.